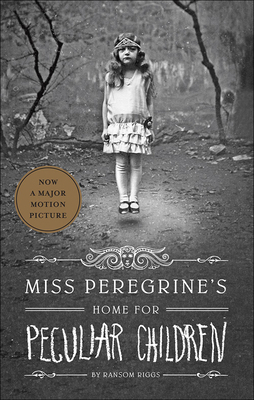 It all waits to be discovered in "Miss Peregrine's Home for Peculiar Children," an unforgettable novel that mixes fiction and photography in a thrilling reading experience. As our story opens, a horrific family tragedy sets sixteen-year-old Jacob journeying to a remote island off the coast of Wales, where he discovers the crumbling ruins of Miss Peregrine's Home for Peculiar Children. As Jacob explores its abandoned bedrooms and hallways, it becomes clear that the children were more than just peculiar. They may have been dangerous. They may have been quarantined on a deserted island for good reason. And somehow--impossible though it seems--they may still be alive. A spine-tingling fantasy illustrated with haunting vintage photography, "Miss Peregrine's Home for Peculiar Children" will delight adults, teens, and anyone who relishes an adventure in the shadows. "A tense, moving, and wondrously strange first novel. The photographs and text work together brilliantly to create an unforgettable story." --John Green, "New York Times" best-selling author of "The Fault in Our Stars"
"With its "X-Men: First Class"-meets-time-travel story line, David Lynchian imagery, and rich, eerie detail, it's no wonder "Miss Peregrine's Home for Peculiar Children "has been snapped up by Twentieth Century Fox. B+"--"Entertainment Weekly"
"You'll love it if you want a good thriller for the summer. It's a mystery, and you'll race to solve it before Jacob figures it out for himself."--"Seventeen. Ransom Riggs grew up in Florida but now makes his home in the land of peculiar children--Los Angeles. Along the way he earned degrees from Kenyon College and the University of Southern California's School of Cinema-Television, got married, and made some award-winning short films. He moonlights as a blogger and travel writer, and his series of travel essays, "Strange Geographies," can be found at mentalfloss.com or via ransomriggs.com. This is his first novel.